Sink into a blissfully deep sleep on the Ergolux Ultra Comfort Euro Top Latex Mattress – built with high-quality latex, pocket springs and a soft, plush cover for unsurpassed comfort every night. Five different pocket spring zones help to provide adaptive support to each zone of the body, helping to alleviate body pressure, reduce aches and pains, and encourage correct spinal alignment. 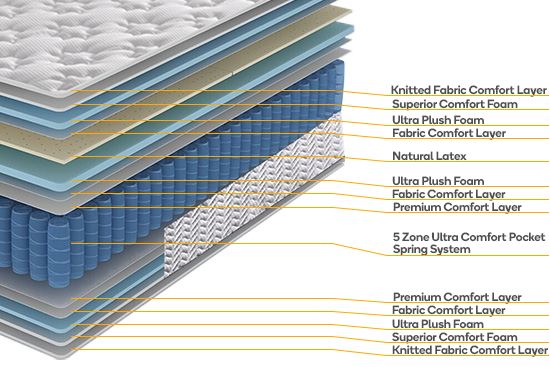 Whether you sleep in the middle of the mattress, toss and turn all night or share with a partner, this mattress is built with five targeted spring zones making sure you get the most supported sleep no matter where you lie. 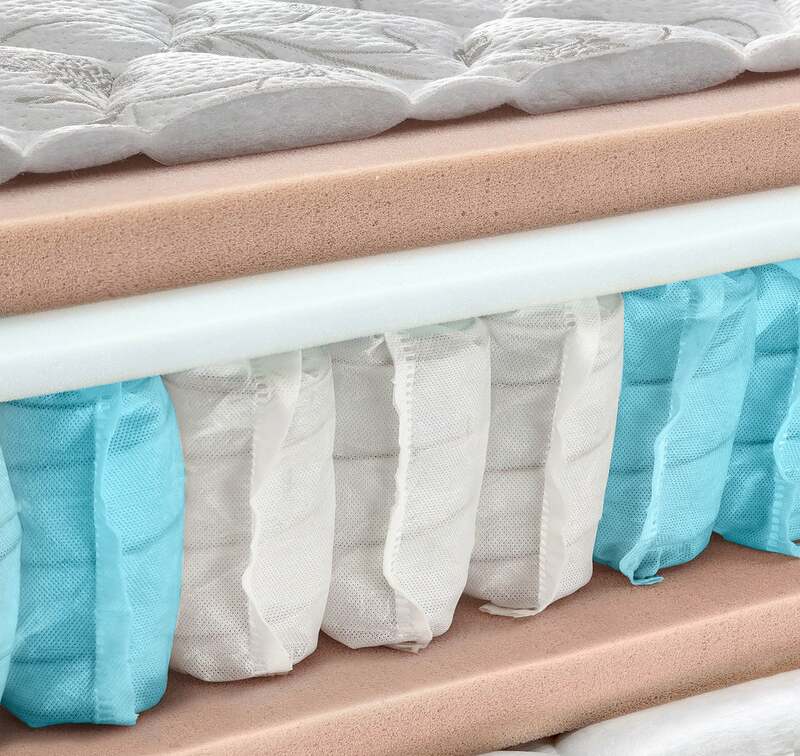 Pocket springs promote airflow and less heat retention so the mattress core is breathable and remains comfortably cool for a better nights sleep. Featuring an added layer of plush padding. 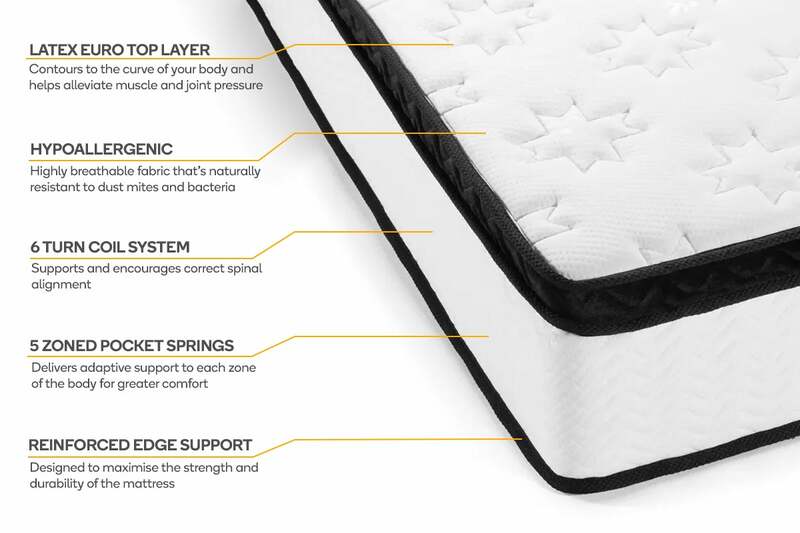 Medium firmness for balance between comfort and support. 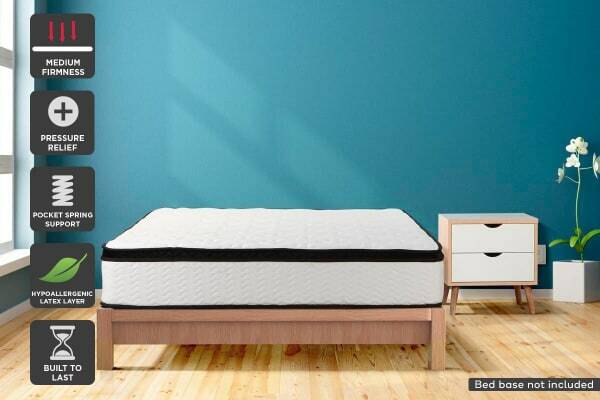 Allows airflow through the mattress to circulate cool air to stop heat retention. Choose from Single, King Single, Double, Queen or King mattress sizes.